Since 2008, it is a legal obligation to observe neophytes and fight them permanently. 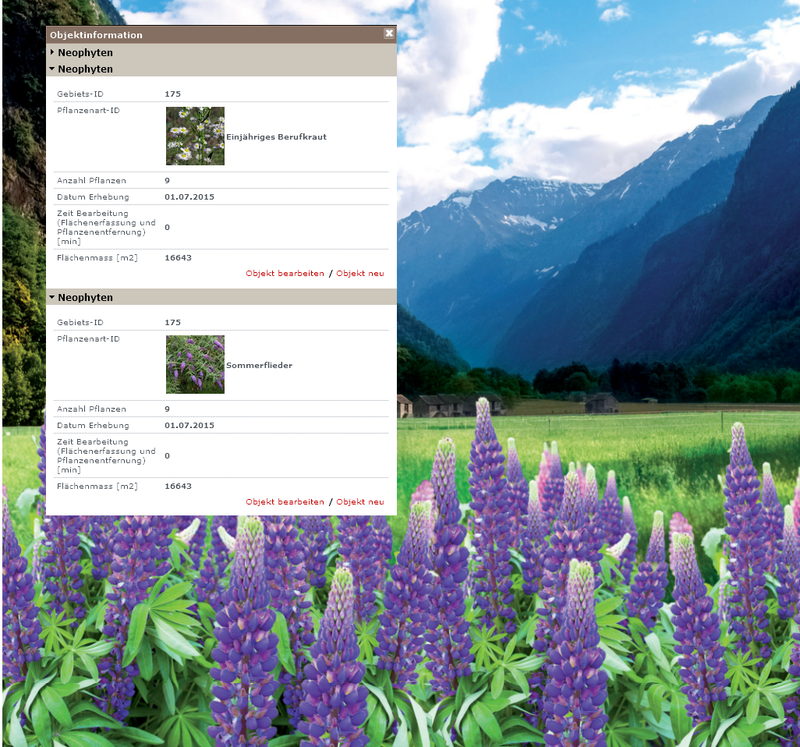 The aim is to control the types of problems and eradicate the plants. The methods of fighting depend on the type of plant and goes from tearing, weeding, mowing, digging etc., and in exceptional cases the usage of chemicals. The Neophyte areas can be digitized on-site using tablets. A simple sync of the captured data makes the information available in the WebGIS of the municipality and the involved provincial and central government. 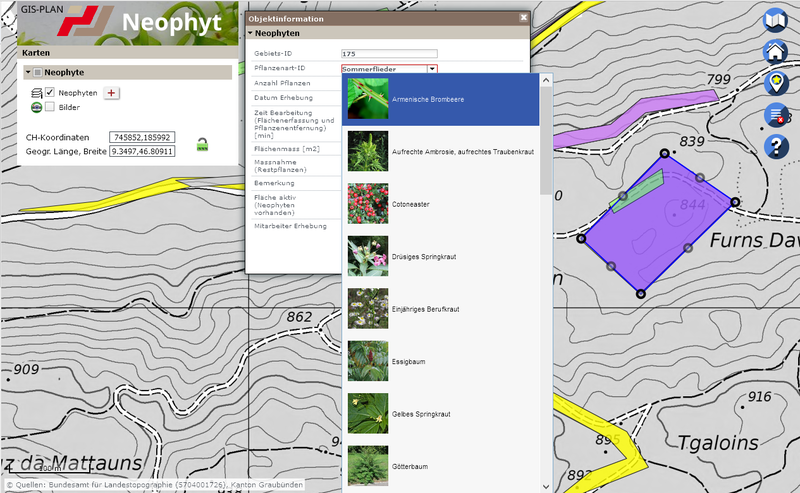 The module builds on the MAP+ based WebGIS: Users can view and capture geodata, measure, analyze, export, plot etc. The product is easy to use and quick to learn. 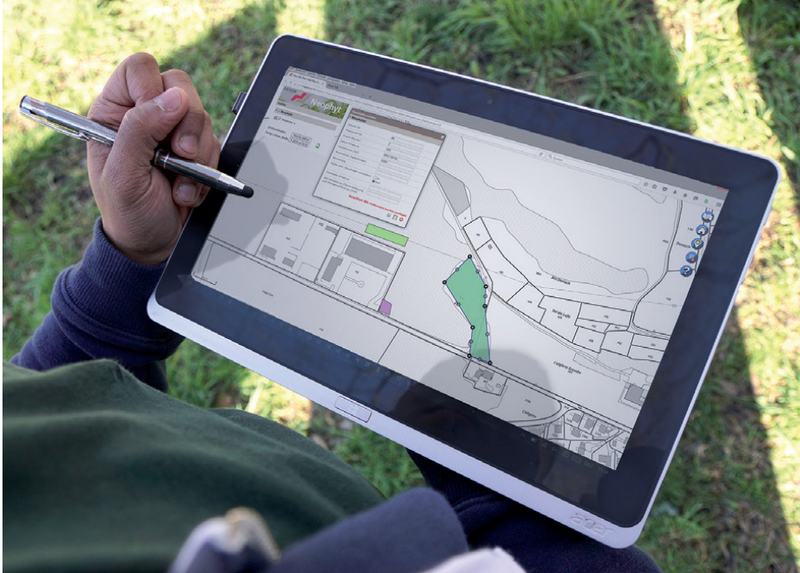 Data capture working with a tablet directly on-site and offline with GPS support (all base data, such as surveying and aerial imagery, are stored locally on the tablet). For more details see the Brochure GIS-PLAN Neophyte (German).